The following policy applies to users of cuny.edu and is intended to explain what types of information is gathered from users and how that information is used. CUNY employees should also refer to the CUNY Computer User Policy which outlines CUNY’s internal policy for the use and protection of CUNY computer resources. For purposes of this policy, “personal information” means any information concerning a natural person which, because of name, number, symbol, mark or other identifier, can be used to identify that natural person. A cookie is a piece of text placed on your computer by a web server. We occasionally use “session” cookies on some parts of cuny.edu to enhance your experience of the site and to help you move through it easily. Session cookies created on your computer by CUNY servers do not contain personal information. We may use a session cookie to store a randomly generated identifying tag on your computer. Session cookies are temporary and are automatically deleted during operation of your browser or when your browser is closed. If you register to personalize cuny.edu you will be asked for permission to store a “persistent” cookie on your computer’s hard drive. This permanent cookie will allow the web site to recognize you and your access privileges when you visit again, and to tailor the information presented to you. CUNY uses persistent cookies only with your permission. If you send us an e-mail, we will collect your e-mail address and the contents of your message. We will use your e-mail address and the information included in your message to respond to you, to address the issues you identify, and to improve this web site. We may also use your e-mail address to notify you about updates, services, special events or activities offered by CUNY or its colleges. If you would prefer not to receive e-mail or other communications from CUNY, contact us at privacy@cuny.edu. Further, the disclosure of information, including personal information, collected through this website is subject to the provisions of the U.S. Family Educational Rights & Privacy Act and New York State’s Freedom of Information Law. We may also disclose personal information to federal or state law enforcement authorities to enforce CUNY’s rights against unauthorized access or attempted unauthorized access to CUNY’s information technology assets. In addition, we have implemented procedures to safeguard the integrity of CUNY’s information technology assets, including, but not limited to, authentication, authorization, monitoring, auditing, and encryption. 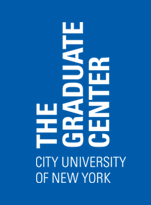 These security procedures have been integrated into the design, implementation, and day-to-day operations of cuny.edu as part of our continuing commitment to the security of electronic content as well as the electronic transmission of information.